From the Tate Gallery in London to Government House in Canada, Paladin cast iron radiators are adding a touch of opulence to buildings across the globe. Paladin has been working with Architects, Interior Designers and Contractors for many years and on projects all over the world as far as Australia, New Zealand, America, and Europe. From Châteaux renovations, new builds, renovating period properties, castles and palaces, we have provided cast iron radiators for many exciting projects abroad which include projects for Royalty and Hollywood stars. Paladin will work with you on any sized project. We can discuss things over the phone or via email or you can visit us at our showroom in Lincolnshire. 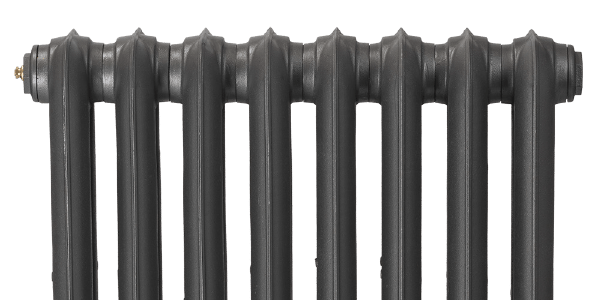 All our cast iron radiators come in a range of sizes, colour options and effects so you can maintain the design versatility you need. You will love our Paladin Metals and effects ranges but if you have a particular colour in mind, we will match it, mix it and paint it. We also offer the option of genuine Farrow and Ball paints and can mix from a RAL or BS reference or to any colour of your choice with our colour matching service. You can also choose an Antiqued or Highlighted Effect option. Our talented craftsmen emphasise the beautiful moulded detail of the ornate cast iron radiators by hand.